Looking for a little south of the border style to heat up your summer? Here's some great ways to add a little modern Mexican flavour to your northern home, that can work for heritage homes, contemporary interiors, or any taste in between ... and any climate! 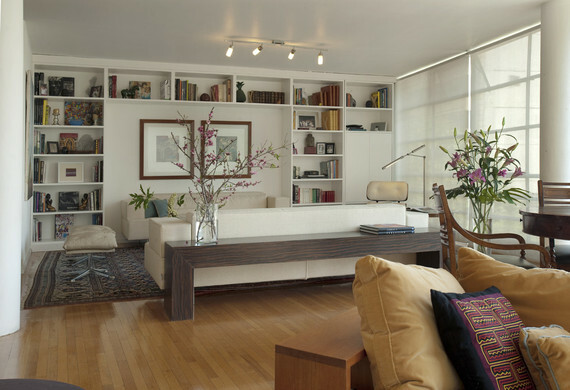 Taking inspiration from authentic Mexican style does not have to mean sticking to traditional or old-world furnishings -- Mexican can be modern too -- actually some of the most beautiful modern buildings and aesthetics are found in Mexico. However, mixing up different periods, colours, and especially different patterns, is key to that sense of spice Mexico is known for. 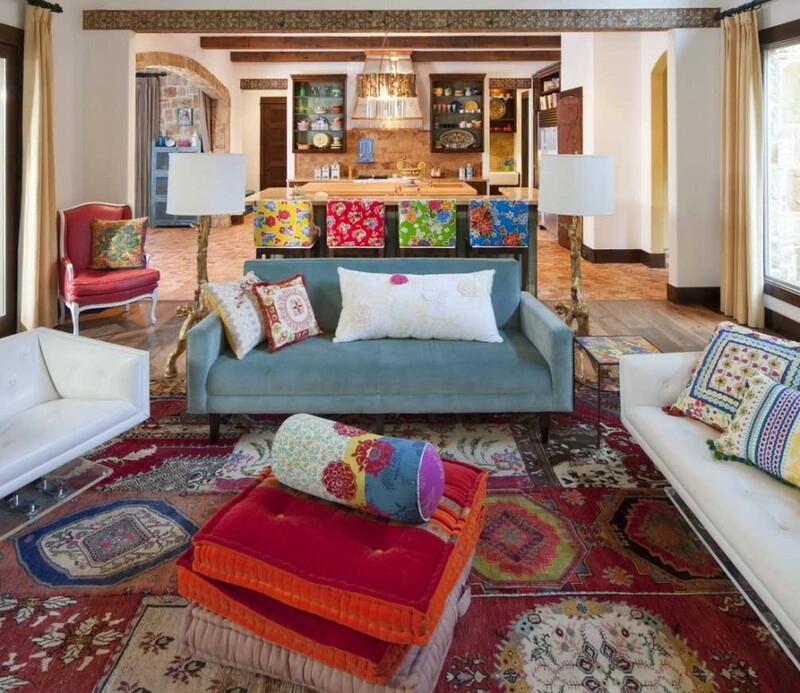 Pair contemporary pieces with earthy antiques, and toss together different prints, patterns, and vivid hues through pillows, pouffes, bedspreads, drapery, and the like. Earthy woods are another staple of the Mexican palette, especially ones that show a lot of organic character. Celebrate wood floors, and consider deep espresso trim instead of the more typical contemporary painted look (for window casings, door frames, and the like). Contrast these heavy woods with accent furniture in lighter shades, such as a carved stools or a vintage cocktail table. And don't forget large leafy plants to bring a true sense of the outdoors in! Another staple of local decor is the rich array of handmade textiles, which can be used as blankets (perfect for adding seasonal colour to white bedding or a neutral sofa), rugs (to bring spice to the centre of the room) or even a decorative wall hanging. Tip: A rug makes an excellent source for pulling colours for the rest of the room, so the same family of hues feels integrated throughout the entire space -- including the floor, aka the "fifth wall". With so much drama coming from the accents, often the walls don't need to be complicated at all. Try using a simple off-white (such as Benjamin Moore's #OC-23 Classic Gray, one of my design staples), to get a subtle adobe-like vibe, or paint one wall a bold accent colour for more even drama (like BM #2001-40 Pink Popsicle). A trademark of both traditional and modern style is the use of wild, colourful tile, with painted patterns that bring warmth and life to what could be cold, hard surfaces. Many tile suppliers currently carry traditional Talavera-style tiles in sets that include intentionally mish-mashed patterns for that Mexican mosaic look. However you can also simply by a few sets of sale tiles at a bargain and mix them together, giving a unique look to a bathroom floor, staircase, backsplash, or patio space (just to name a few ideas). Another gorgeous tile style you can take from Mexico is the broken tile mosaic, typically using ceramic tiles (in a pattern or a simple solid) that are broken before being applied to create a unique overall texture. The effect is subtle with solid-colour tiles, and high-drama with a patterned option, so it can suit any space or size of application, such as a kitchen counter, small accent niche, or a full shower stall. 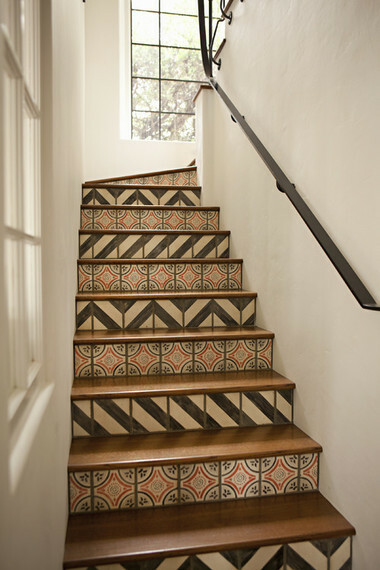 Plus, for DIYers willing to put in a little extra work, it can create a big statement even with an inexpensive tile. For more interior inspiration from me and my Toronto Interior Design Group, click here. If you've got a authentic Mexican style tip to share, find me Twitter and Instagram at @yanicsimard!